The primary purpose of these devices is to improve near vision and reduce the need for reading glasses in older adults who have presbyopia. As their names suggest, corneal inlays and onlays differ in where they are implanted within the cornea: corneal onlays are placed near the surface of the eye, directly under the thin outer layer of the cornea called the epithelium; inlays are placed deeper in the cornea — in the thicker middle layer called the stroma. Because they are implanted deeper in the cornea, corneal inlays may be more stable and deliver more predictable and long-lasting results than corneal onlays. For these reasons, it appears corneal inlays will likely be the preferred device for doctors and patients interested in this refractive surgery option. Corneal inlay surgery is less invasive and may have fewer risks than phakic IOL procedures, which involve implanting lenses further back inside the eye, either directly behind or in front of the pupil. 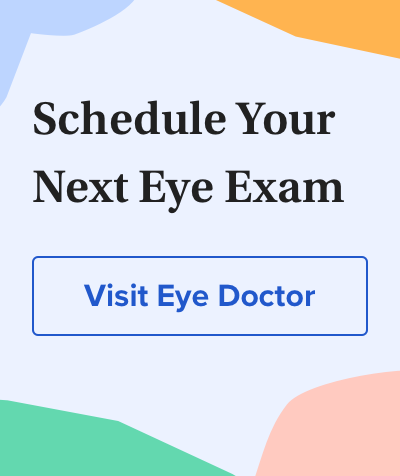 Also, because no corneal tissue is removed during inlay surgery, this procedure may be a good alternative for people whose corneas are too thin for LASIK or PRK. In April 2015, the Kamra inlay became the first corneal inlay to gain FDA approval for use in vision correction surgery performed in the United States. Developed by AcuFocus, the Kamra inlay also is commercially available in nearly 50 countries worldwide. The Kamra inlay is very small and thin — it's just 3.8 mm in diameter (about one-quarter the size of a soft contact lens) and 6 microns thick (less than one-tenth the thickness of an average human hair, or about the diameter of a single red blood cell). The inlay has an opaque outer ring and a tiny (1.6 mm diameter) central opening. When implanted in the cornea, the Kamra inlay is positioned so its central opening is directly in front of the pupil of the eye. This creates a "pinhole camera effect," which expands the range of clear vision to bring near objects into sharper focus while maintaining clear distance vision. The Kamra inlay typically is implanted in the non-dominant eye. This allows both eyes to see at distance, while the Kamra inlay improves near vision. The procedure takes less than 15 minutes and can be performed in the eye surgeon's office. Healing time may vary from person to person. No stitches are needed. The Raindrop Near Vision Inlay (ReVision Optics) gained FDA approval in June 2016, becoming the second corneal implant approved for presbyopia surgery performed in the United States. Corneal inlays for presbyopia correction generally are placed in the anterior portion of the corneal stroma of the non-dominant eye. The tiny (2.0 mm) clear inlay was made of medical-grade hydrogel plastic similar to that used for soft contact lenses and had optical characteristics almost identical to the human cornea, according to the company. The Raindrop Near Vision Inlay was implanted in the patient's non-dominant eye through a laser-cut flap in the cornea. When in position, the inlay changed the curvature of the cornea so the front of the eye performed much like a multifocal contact lens. Unfortunately, Revision Optics announced in January 2018 that it was closing its doors and the Raindrop Near Vision Inlay would no longer be sold to eye doctors or distributors. Though many refractive surgeons were pleased with the performance of the Raindrop Near Vision Inlay, it appears the closure of ReVision Optics was related to a slower-than-expected adoption of corneal inlays by patients and surgeons in the U.S. market, possibly because of the high success rates of LASIK and premium cataract implants, according to John A. Hovanesian, MD, who was a long-time user of the Raindrop Inlay and an investigator for ReVision Optics' products. Another innovative corneal inlay designed for the correction of presbyopia is the Presbia Flexivue Microlens, being developed by Ireland-based Presbia PLC. This device resembles a tiny bifocal intraocular lens like those used in cataract surgery. It measures just 3.2 mm in diameter and is available in a range of powers, depending on the patient's near vision needs. During the Presbia Flexivue Microlens procedure, small pocket is created in the corneal stroma with a femtosecond laser, and the inlay is inserted into this pocket with a special device. The pocket seals itself, and the entire procedure typically takes less than 10 minutes. The corneal inlay can be removed and replaced with a higher or lower power lens if needed. The Presbia Flexivue Microlens is not yet FDA-approved for use in the United States, but it has received a CE mark for the European Economic Area. In a 2012 study, patients in Italy and Greece who underwent the Flexivue Microlens procedure reported very high satisfaction rates one year after implantation, with 97 percent saying their uncorrected near vision in the implanted eye was either good or excellent, and 97 percent reporting that their uncorrected distance vision with both eyes open was either good or excellent. A clinical trial required for approval of the Presbia Flexivue Microlens in the U.S. commenced in 2014. Corneal onlays are similar to corneal inlays, but are designed to be placed closer to the front surface of the cornea, just under the outer layer called the epithelium. Corneal onlays are placed between the corneal epithelium and stroma. Currently, no corneal onlays are FDA approved for presbyopia surgery in the U.S. The corneal epithelium comprises about 10 percent of the overall thickness of the cornea and acts as a protective barrier to keep bacteria, dust and other foreign substances from penetrating the eye. The epithelium also absorbs oxygen and nutrients from the tear film so they can nourish the rest of the cornea. Though some research in developing corneal onlays is ongoing in Europe, it appears that corneal inlays have become the preferred technology for corneal implants designed for vision correction, according to W. Bruce Jackson, MD, professor and chairman of ophthalmology at the University of Ottawa (Canada) and one of the early investigators of corneal onlays. ReVision Optics goes out of business. Ocular Surgery News. February 2018.